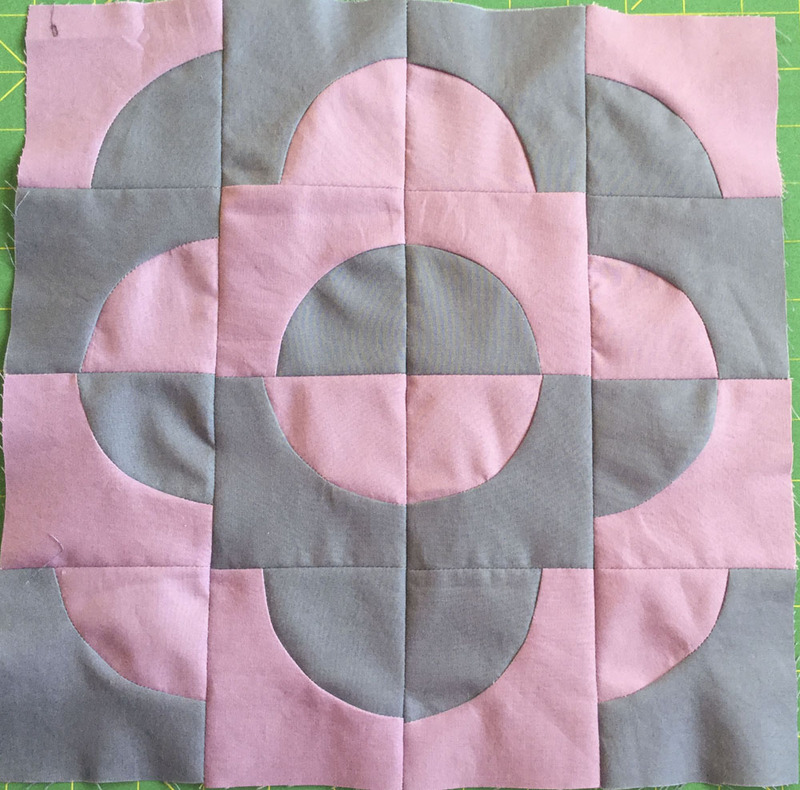 Good job keeping up with the QAL's - Alida's block looks great in grey and pink! Thanks for sharing! I love your beaver block, especially the way you quilted it! And that Postcards from Sweden HST quilt is one that has caught my eye as well. It's really beautiful and I hope you enjoy making it! Your beaver block looks so good! 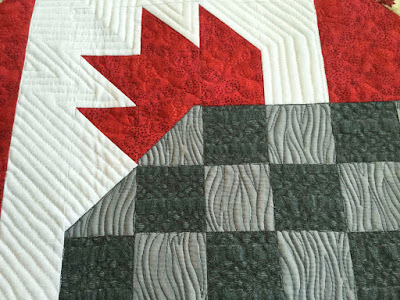 I really like the wood grain quilting I can see peeking out of the checkerboard tail. Neat! 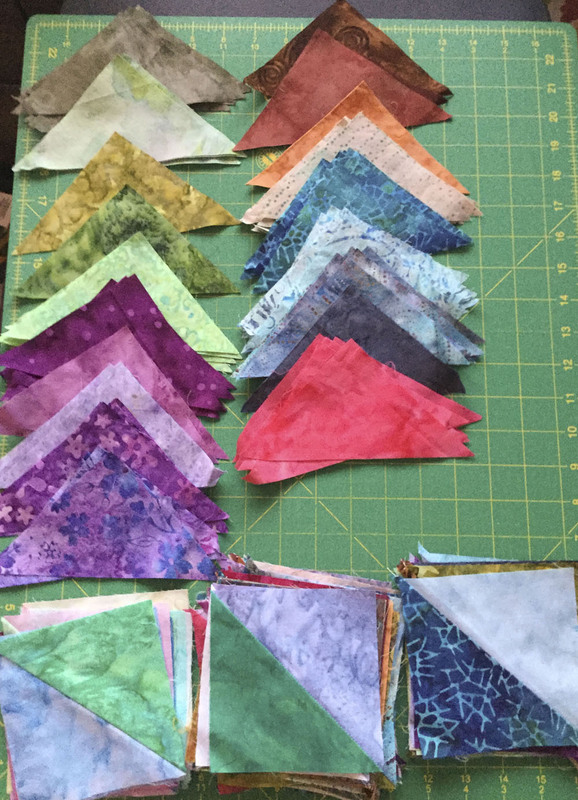 I know what you mean about not being able to sleep when your brain is full of quilty ideas. Sometimes I have to force myself to just breathe and not spin around all the possibilities. Oh my! 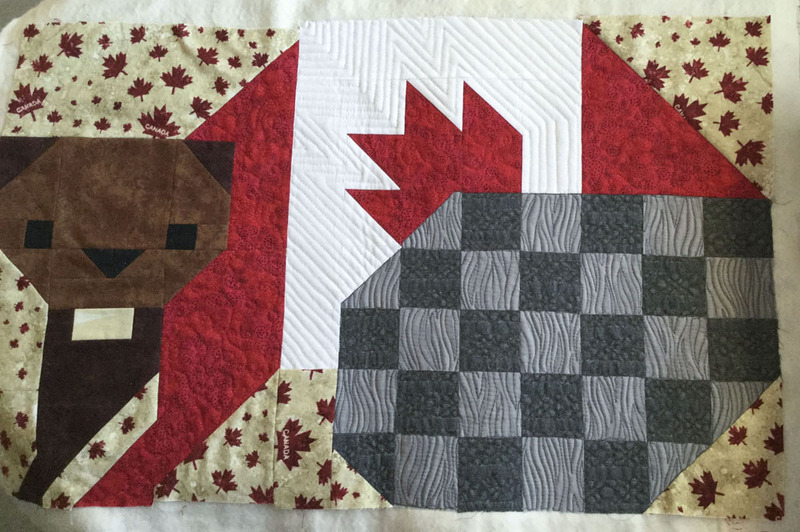 The quilting on your beaver really kicks the design up a notch! I agree with you about ebjoy9ing having projects in various stages of completion. It lets me pick whichever task I'm in the mood for. As long as I don't have so many that I can't decide what to work on, it's a good strategy. You are making lots of progress! 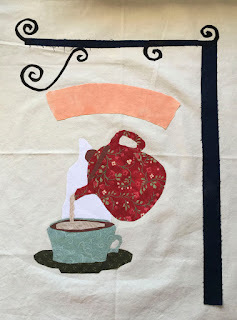 So glad to have you quilting along in the Postcard From Sweden QAL! Hot Dog...I see England's souvenir posted! Love the color of the teapot. It is so lovely and I cannot wait to see your 'chain' applied! So many projects on the go! 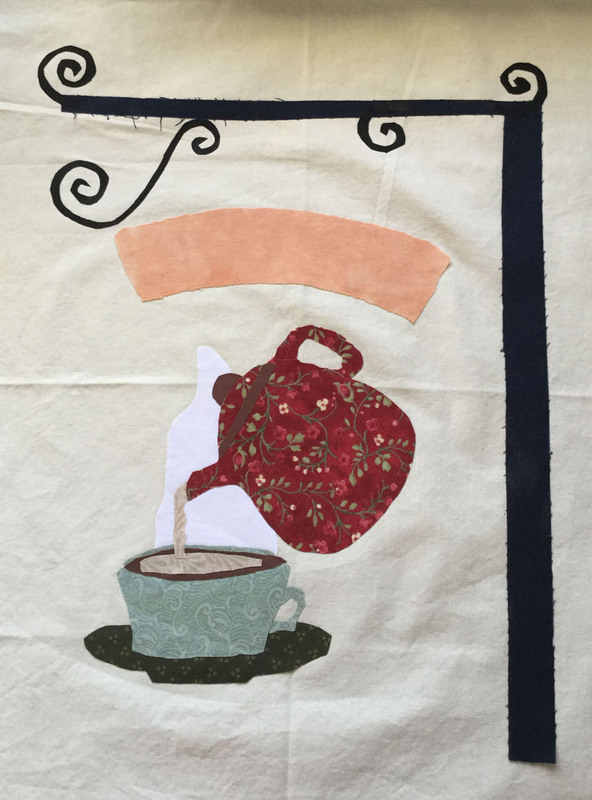 I like the way you are depicting my life with the England quilt. You don't want to know how much tea I get through in a day. 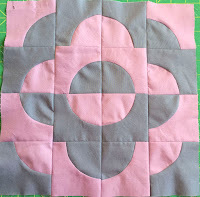 The beaver quilt is really sweet, and I agree, quilting is the fun part of the process.